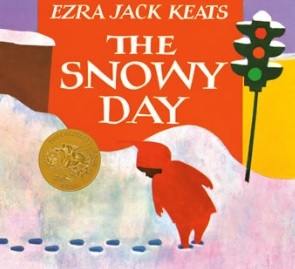 As a parent whose final duty of the day was to read a bedtime story on alternate evenings, watching Childsplay’s new production of Jerome Hairston’s adaptation of The Snowy Day became suddenly nostalgic. It wasn’t expected. 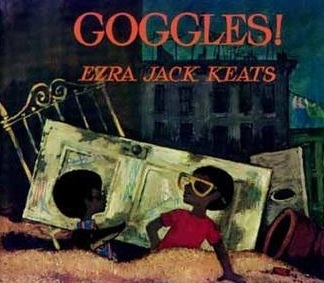 In fact, the series of illustrated stories by Ezra Jack Keats repeatedly read alongside Goodnight Moon and My Dad Is Brilliant were all but forgotten. Yet, as soon as those three performers entered the stage at Tempe Center for the Arts on this past Saturday’s early matinee and began to relate how a child called Peter woke up and looked out of the window to see that snow had fallen during the night, it all came rushing back. 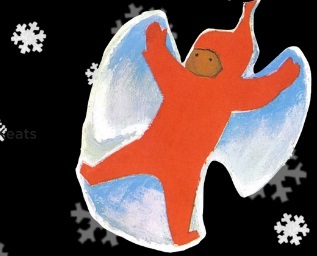 The Snowy Day is a 1962 children’s picture book, illustrated by its author. The images are formed from the basis of a collage; art created from cutouts of various materials, fused together to make a picture. Scenic designer Douglas Clarke has effectively used this same style to create the backdrop to Peter’s theatrical neighborhood adventures; New York tenement houses situated on the corner of Broadway and 136th Street, complete with high-street stop lights. It’s as if one of Keats’ urban illustrations had risen out of a giant pop-up book, big enough to stretch from stage left to stage right. One of the most interesting aspects to the book’s illustrations was the subject of race. 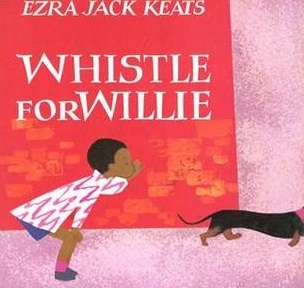 Even though the stories never described them as such, the pictures of Peter and his friends are of African-Americans, inspired by four small black and white pictures of a little boy that the author came across one day while flicking through the pages of a magazine. Keats, who was white, was captivated by the images. He never forgot them, and later used them as inspiration for Peter. 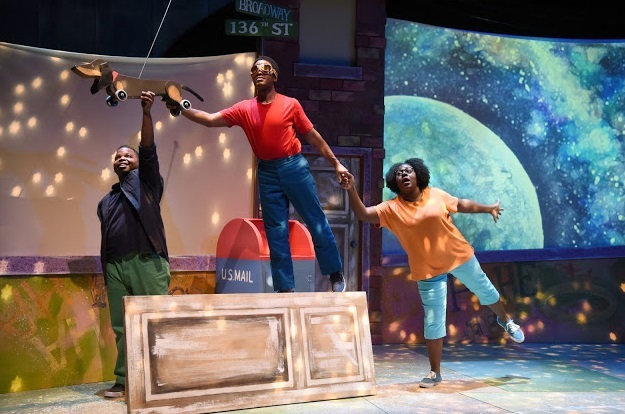 The three players in Childsplay’s production, Savannah Alfred, Andre Johnson, and Nathan Alfred, are African-American. Watching them narrate, change characters, and re-enact the playful situations as described in the stories truly brings the work (and my memory of those evenings reading them by a child’s bedside) alive. Intended for ages 3 and up, with a running time of only 50 minutes, plus the Q&A with the cast and the young audience that traditionally follows a Childsplay production, the fast-paced adventures under Katie McFadzen’s direction never wane as Peter goes from one situation to another. 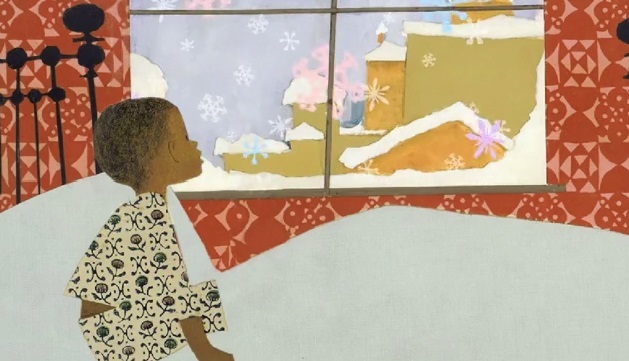 Told with the use of shadow puppets projected on a backscreen, The Snowy Day, where the little boy experiences his first ever snowfall and leaves the house to walk in the snow – Crunch! Crunch! Crunch! – is only the beginning. The character of Peter appeared in six of Keats’ stories, and writer Jerome Hairston has adapted four of them, each flowing seamlessly into the next. 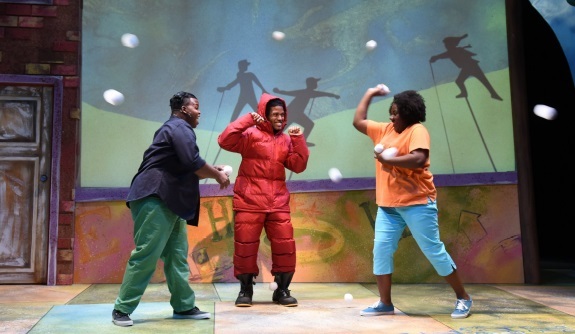 Once Peter (Andre Johnson) has experienced a day in the snow, making snow angels, building a snowman, and realizing he’s probably too young to be throwing snowballs with the bigger boys, the play goes straight to Whistle for Willie, where, for the first time, Peter tries to whistle, and fails, making himself dizzy in the process. But there’s mom to rescue, who teaches Peter to pucker up. “You just have to keep trying,” mom (Savanah Alfred) advises. The there’s Goggles! where Peter and his friend Archie (Nathan Alfred) find a pair of abandoned motorcycle goggles. With the use of their imagination, they explore all the fun things they can do with them, including motorcycle racing, deep-sea diving, and if you act in slo-mo and pretend you’re floating on air, you can even be an astronaut. Finally, there’s A Letter To Amy where Peter is about to have a birthday party with all his friends. But Amy is special because she’s a girl, so she needs a special invitation. It’s an adventure that takes Peter outside and into a thunderstorm with unexpected results. Growing up and discovering things for the first time is a major challenge to children. The success of the tales of Peter is that author Keats captured that playful essence of childhood and related it so effectively in his writing, as does this musical play. True, there’s a minimalist tone to the production, and the conclusion arrives abruptly just when you thought there might be more to come, but it’s overall success is more than simply capturing a particular essence. It’s the heart and affection for the material that makes Childsplay’s production work as well as it does. It reaches out and gives you that warm comforting feeling you might have experienced when, as a child, your mother hugged you when you needed a hug the most. 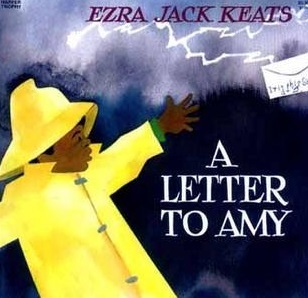 If you’re currently reading bedtime stories to your child, see Katie McFadzen’s Childsplay production, then include the Ezra Jack Keats stories in your early evening repertoire. 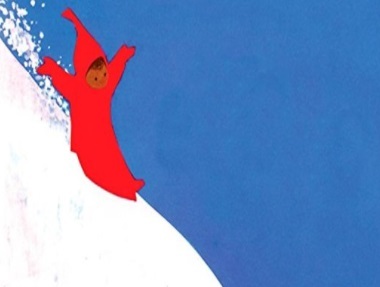 Even though experiencing a snow day here in the valley is admittedly remote, your children will still relate to challenges of childhood as experienced by young Peter. It will stir the imagination and make their lives all the richer.